Dr. Catsu Reviews Stitches (2012). – Stigmatophilia's gore splattered corner of insanity. 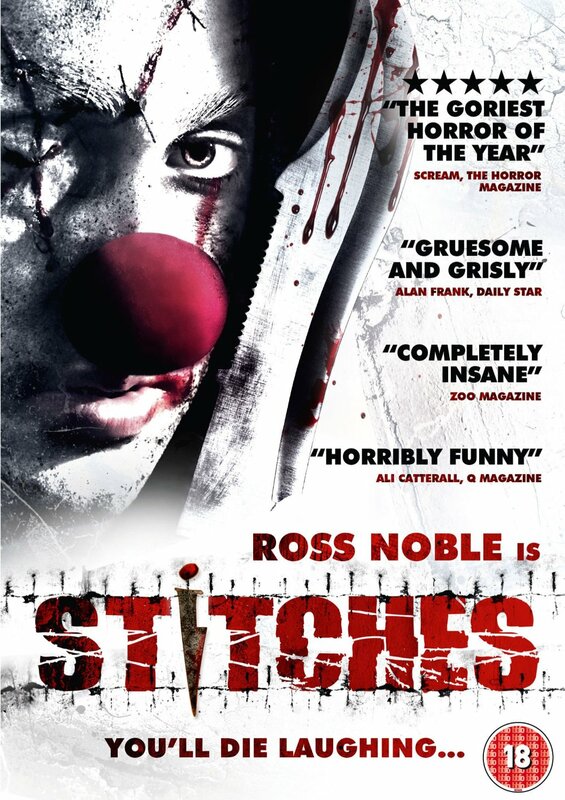 Home › Reviews › 00's horror › Dr. Catsu Reviews Stitches (2012). Dr. Catsu Reviews Stitches (2012). As part of a birthday party for her young son Tommy’s mother books a performance from Stitches the clown to entertain the children. 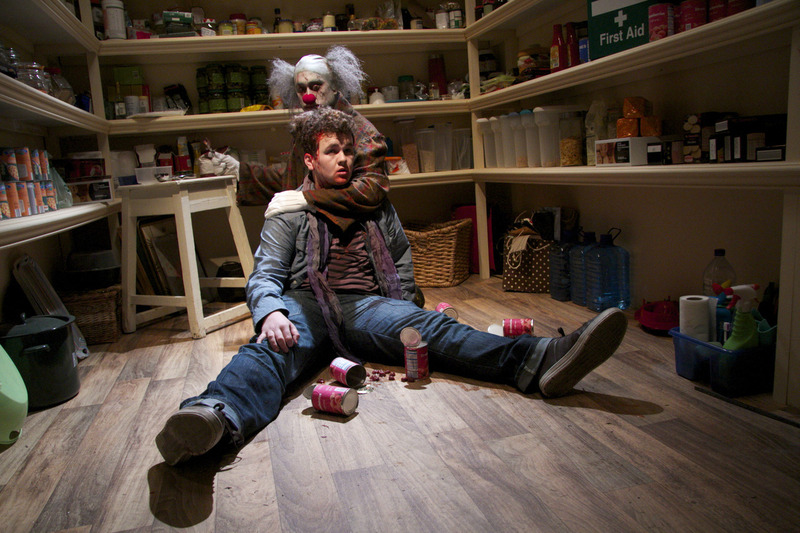 When the performance falls flat the children tease and abuse the clown with tragic consequences. Six years pass and Tommy is still haunted by the events of that night. With the house to himself and his birthday looming he to invite a few friends over for a quiet get together, hoping to hook up with Kate, the girl of his dreams. When his invitations go viral, Tommy is left with a house full of drunken, horny revellers and when the vengeful corpse of Stitches shows up, the friends are left fighting to survive the night. Connor McMahon has a short background in genre films and had directed a few unremarkable examples before helming ‘Stitches’, a film he co-wrote with David O’Brien; most notably he was responsible for atmospheric, but disappointing, Irish zombie movie ‘Dead Meat’ in 2004. McMahon clearly hits his stride with ‘Stitches’, a film destined to become a cult classic and favourite of slasher fans. 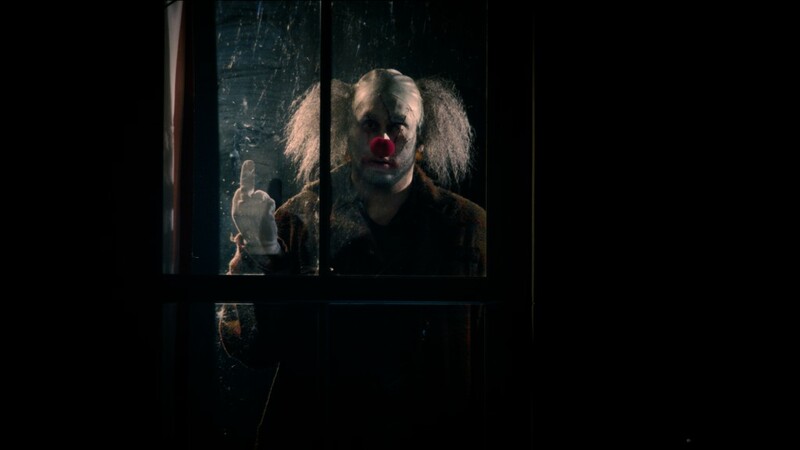 His tale of a murderous clown holds no narrative surprises; there are no twists to work out, no shocks to catch the unwary viewer off-guard. What is does provide is a constant stream of inventive and gloriously gruesome horror set-pieces (all linked to the circus of course) and a wide streak of jet-black humour. Horror-comedy is notoriously difficult to achieve and ‘Stitches’ nails it; the film’s biggest strength is that it is genuinely funny. The special effects, ignoring some brief but wonky CG, are excellent and continue the comedic, if mean-spirited, tone of the film – deaths by balloon pump, umbrella, and ice cream scoop are all present and correct. To ramp up the fun further there are a number of references to famous horror films dotted around and the soundtrack is unusually good for such low-budget fare. Special mention must also go to the script itself; McMahon and O’Brien clearly have an excellent ear for teen dialogue and much of the film’s humour stems from the endless abusive banter between characters. The cast are also uniformly solid. The movie got more press that is usual for home-grown genre movies due the involvement of comedian Ross Noble as the eponymous Stitches. I am not a huge fan of his work, his humour being comedic Marmite, but he clearly enjoys himself here and embodies the film’s violent but playful tone. The rest of the cast is comprised of young, inexperienced actors and they do an excellent job; Tom and Kate (Tommy Knight and Gemma-Leah Devereaux) make an appealing lead couple who are easy to root for when things turn grisly. The supporting cast of motley characters are also similarly great with Roisin Barron as a particular highlight. The only (minor) gripe I have with any of the performances lies with Noble; fans of ‘The League of Gentlemen’ will immediately spot the character of Papa Lazarou in his vocal performance. Whilst it works well within the context of the film, fans of the television series may find it somewhat distracting. ‘Stitches’ has its weaknesses. It is not scary at any point, the aforementioned CGI is really wonky, and the plot is paper thin but McMahon and his cast perform a minor miracle; they make sure that none of the film’s drawbacks matter. In a genre in which the blockbusters are progressively po-faced and miserable affairs, ‘Stitches’ harks back to the slasher genre’s heyday; when horror movies had creative and graphic violence but also a sense of glee, of excitement, of fun. I loved ‘Stitches. 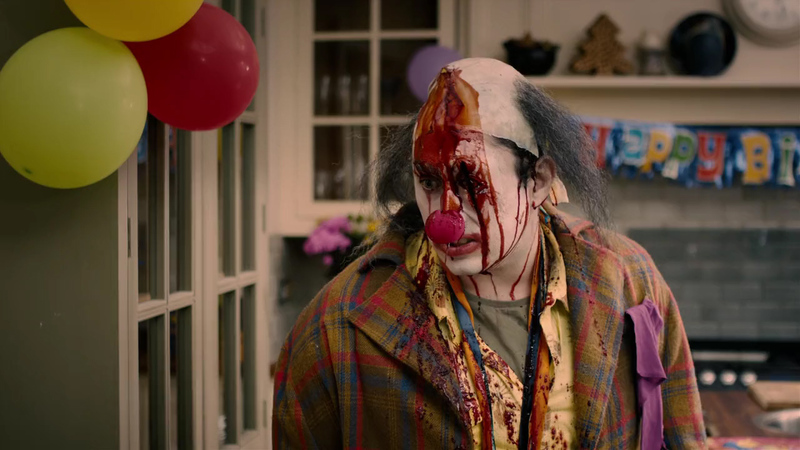 It is funny, gory, it has (mostly) top-notch effects and a charming and engaging cast. If you haven’t seen it, do; if you have, do so again. 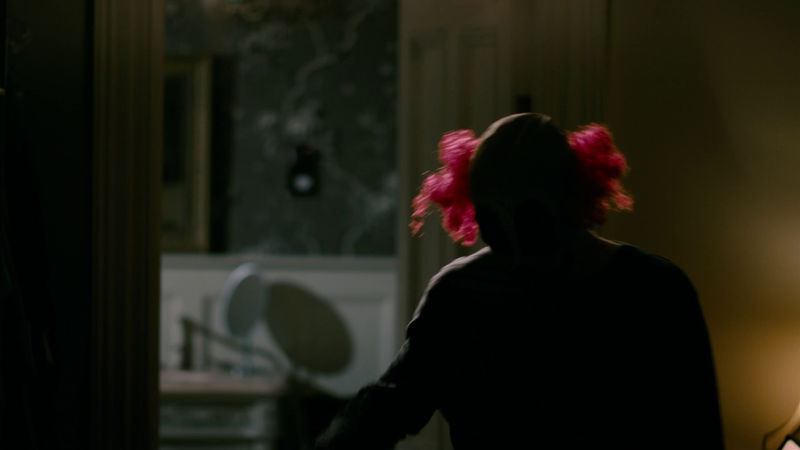 It won’t be the best horror movie you’ll see all year but it may be the most fun. ‹ Dr. Catsu Reviews Under the Bed (2013).